Yahoo can't hide behind Alibaba anymore. The Web giant's profit soared in the third quarter, after earning $6.3 billion from selling part of its stake in Alibaba (BABA), the Chinese e-commerce giant. Alibaba debuted last month on the New York Stock Exchange in the largest IPO in Wall Street history. Yahoo (YHOO), whose stock had been buoyed by the pre-IPO hype, has already committed to returning at least half of that money to shareholders. Yet the company's core advertising business has been unimpressive in recent years, putting pressure on CEO Marissa Mayer to prove that Yahoo can be more than just an Alibaba proxy for investors. 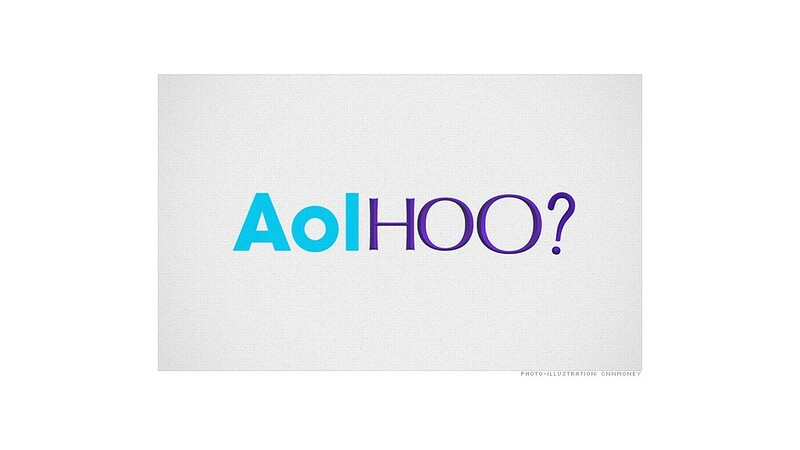 A manager of the activist hedge fund Starboard Value recently called for the company to merge with AOL (AOL). On Tuesday, Yahoo might have shown just enough to keep investors at bay -- at least for three more months. Yahoo's third-quarter earnings -- excluding the benefits of the Alibaba sale -- came in well ahead of expectations, and shares rose 3.5% in after-hours trading. Yahoo's remaining Alibaba stake is worth approximately $34 billion. The company will pay $3.3 billion in taxes on its recent sale of shares, and going forward, Mayer said Yahoo has "the best tax experts in the country working intensively on structures to maximize the value for shareholders of our remaining stake." Excluding Alibaba and other one-time items, Yahoo said it earned 52 cents per share last quarter, well ahead of Wall Street analysts' median estimate of 30 cents, according to a survey conducted by Thomson Reuters. 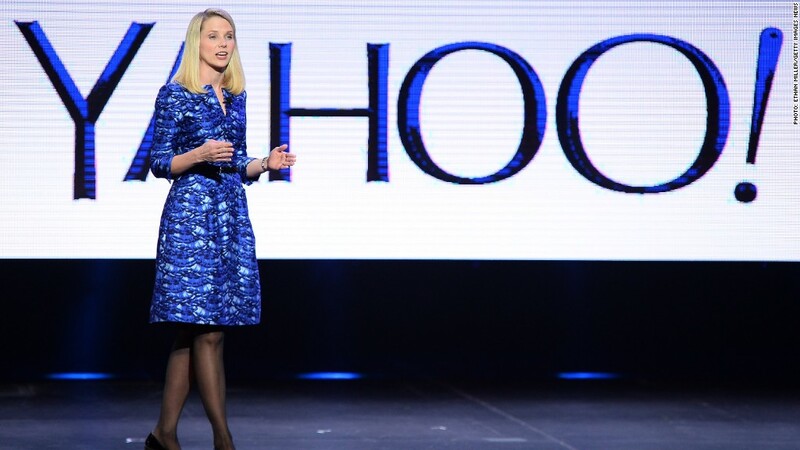 Yahoo's sales, grew 1% to $1.1 billion, slightly ahead of analysts' expectations. The company also reported a solid 6% increase in search revenue, but sales of the more lucrative banner and video ads fell by 5%. It's not a lot of growth -- but it might put the Yahoo-AOL merger rumors to rest for the time being. The merger speculation has been around for years -- pretty much since AOL was spun off from CNNMoney parent company Time Warner (TWX) in 2009. The chatter picked up steam once Mayer joined Yahoo from Google since AOL CEO Tim Armstrong is also a Google veteran. Both AOL and Yahoo have had a tough time competing against Google (GOOGL), Facebook (FB) and Twitter (TWTR) in the battle for online ad dollars over the past few years. Meanwhile, Yahoo has scooped up a number of start-ups on Mayer's watch, most notably blogging platform Tumblr, which it purchased last year for $1.1 billion. More recently, Yahoo has been rumored to be in talks for a small stake in Snapchat. In its letter, Starboard Value said that many of the purchases made on Mayer's watch have "failed to deliver material revenue growth," and that Yahoo would be better off "halting the current aggressive acquisition spree." Mayer brushed aside that critique in a conference call with analysts Tuesday, saying acquisitions "have not been a choice for Yahoo, but rather a necessity." She divided the company's recent acquisitions into three categories: talent acquisitions, made to acquire skilled engineers and teams; "building block" acquisitions, made to update the company's technology; and strategic acquisitions like Tumblr, which expand its presence in key business areas.